The NBA has certainly changed since the 90’s and till today, nothing compares to the gritty grimey game of the NBA athlete during the golden era of basketball. There were many feuds in the 90’s but one of the greatest, was the Chicago Bulls vs New York Knicks Rivalry that had many of us at the edge of our seats. One of the highlights, was the 1994 Brawl sparked by Derek Harper vs Jo Jo English. 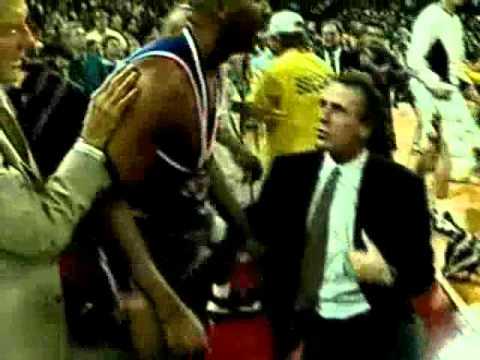 Check out the Brawl Below and let us know if you remember any NBA Brawls.